Graham, I am half way through Aspin's book Foundrywork for the Amateur, and his The Backyard Foundry is next in line on my bookshelf. Jason, I wouldn't expect this engine to appear under Jackson's name - it seems that he was actually a printer. I've posted more details about that puzzle in the ME forum. 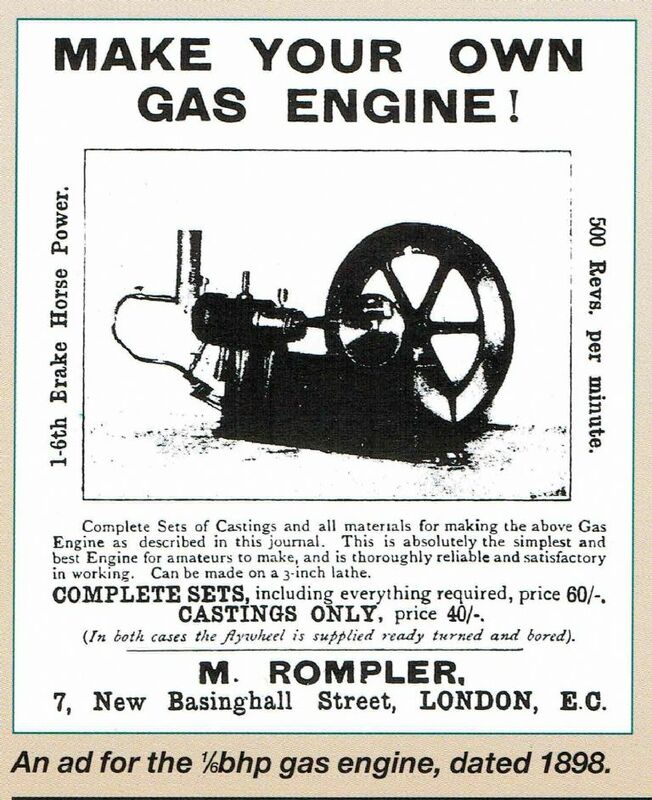 I wondered if it might be under the author's (and presumably designer's) name of H.F. Hobden, or under its published title of The Boy's Own Model Gas Engine. At the moment I am leaning towards fabricating my own interpretation of the design, while continuing the Quest for the original. Time to get out and cast an eye over some real engines. Time for an update. I may have been quiet, but I haven't been idle. I've spent many an hour slaving over a hot computer, researching and drawing, but without discovering any evidence of an original drawing or engine. I've also many hours poring over books. However, I'm getting closer to a credible design. Part of the breakthrough I needed was the realisation that the correspondence column of my 1895 BOP contained regular snippets of information about the BOP dynamo (that's my next project...) which was published four years earlier. So I've been tracking down the volumes after 1895 and trawling through the correspondence and, sure enough, there are occasional snippets of dimensions and other information. The most reassuring aspect is that, in the main, it tallies with the dimensions I had arrived at through liberal applications of Engineering Imagination and Midnight Oil. In addition to the details I gave earlier, I now know that it's a 1/8 h.p. engine with a 10" flywheel. The flywheel weight is 13 lbs, which seems rather chunky. Cylinder length 63/8", 37/8" diameter over flanges. Connecting rod 63/16 between centres - this was a particularly pleasing discovery as it was exactly the length I had arrived at. The 'third dimension' is still a problem, as I only have the one end view, and none of the crankshaft end, but I'm chipping away at it. The other puzzle is the gas-and-air valve of which I have little detail and at least one impossible dimension. 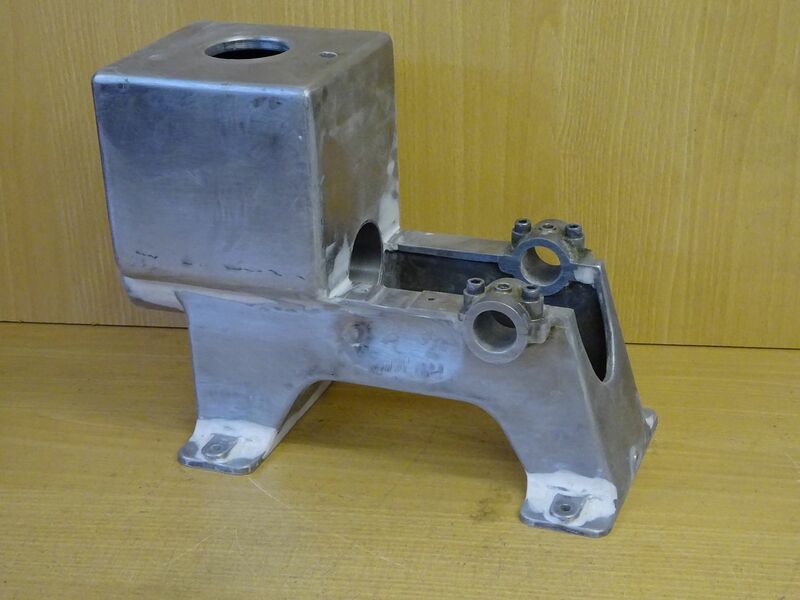 I have decided to go the casting route, as I have increasing confidence that the finished design will be close to the original. Next stage is to wait for the shows and museums to start up again and get out and see how other people did it. As Graham pointed out, the Leek looks like the nearest design (I wonder if they might even have been influenced by the BOP engine) so I particularly want to examine one rather than looking at pictures. It's very frustrating how few people photograph the crankshaft end! Bad Behavior has blocked 16432 access attempts in the last 7 days.